the BLEASS reverb is a unique sounding plugin effect bringing your music production and live performances towards new soundscapes! 1/ A first stage modifies the input source by correcting the gain and setting up early reflections pre-delay in order to re-create distant walls. - the Low-Shelf filter can reduce or boost your basses. 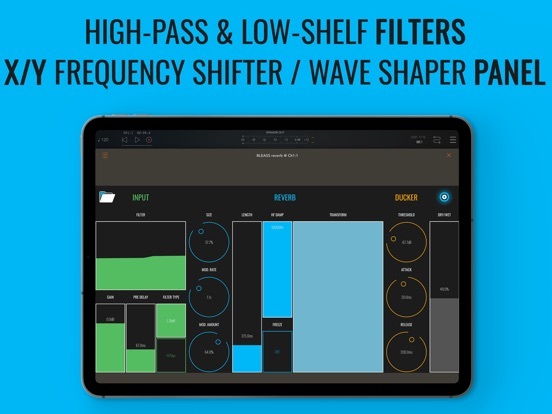 - the High-Pass filter cuts the low part of the signal and creates a resonant peak on interesting frequencies. 2/ The second stage offers a unique-sounding reverb with size modulation and length controls. 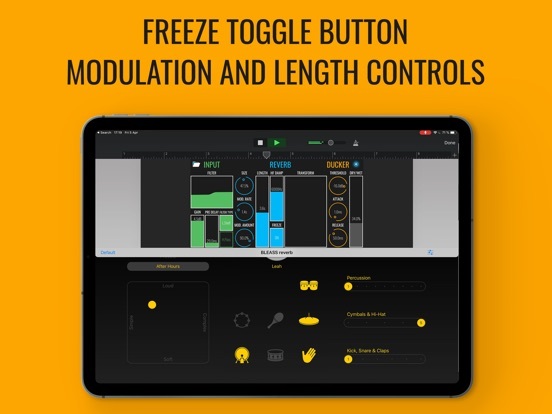 It also contains a high frequency damping control in order to re-create plate reverb effects, as well as a freeze toggle button for infinite sound soaring and exploration. This reverb offers also an X/Y panel which applies a set of fine-tuned frequency shifter as well as a wave shaper in order to mutate your reverb space on the go! Finally, a dry-wet controller offers control over the reverb level. 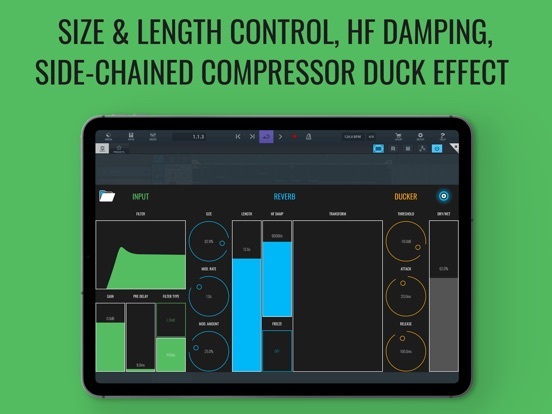 All these features are shown within the factory presets, and you can save your own presets which will automatically carry over across different host apps. All variables are exposed as AU parameters in hosts which support automation. 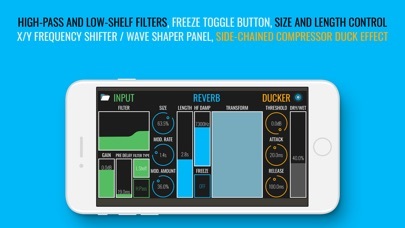 BLEASS reverb can also be used as a standalone app using headphones and mic or an external sound card. Check out www.bleass.com for video tutorials and demos! This version optimizes the compatibility with Nano Studio 2.